Our kits are made by American Autowire for the gauges we carry. Makes mounting and removing dash panel gauge cluster a breeze. Unplug gauges and remove dash gauge cluster. All wires are labeled every two inches. Don Vintage Clusters kits are designed for direct hook-up to senders. All kits have 17 inches of wire on the gauge side. The five and six gauge mechanical kits the tachometer (six gauge kits), water temperature sender and oil pressure signal wires are 96 inches long. All other wires are 48 inches long. 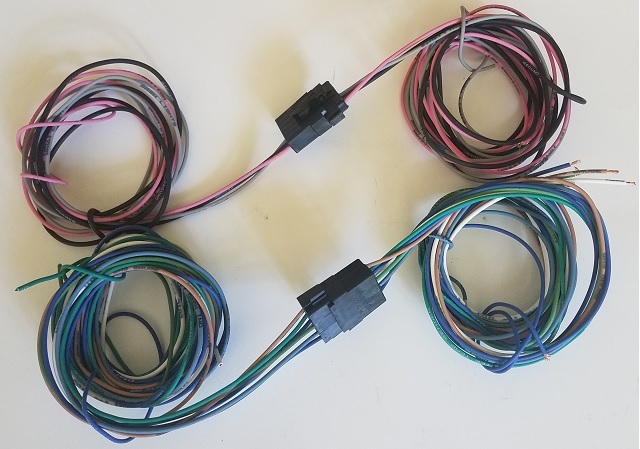 The programmable speedometer kit comes with separate connections to isolate the speedometer from any interference from other gauges or electrical signals. The VSS ground, VSS signal and VSS power wires are 72 inches long to reach transmission signal generator. For five and six gauge kits with mechanical speedometers. For six gauge kits with programable speedometers. For New Vintage and Omega programmable speedometers.